Radiosity in 3D scenes is usually computed using a discretization of the surfaces into patches. A discretization into voxels is possible, coupled with the use of discrete geometry. An algorithm for radiosity solving with voxels is introduced, lowering the theoretical complexity to an O(N log N) + O(N), where the O(N) is largely dominant in practice, so that the apparent complexity is linear for time and space, with respect to the number of voxels in the scene. The method also fits in RAM and does not need disk storage. 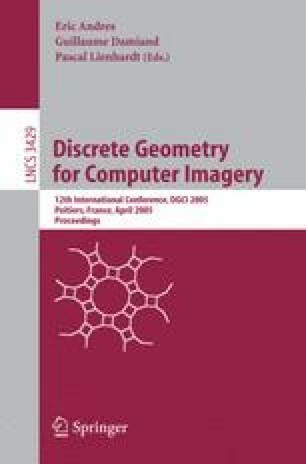 Instead of 3D discrete line traversal, a new algorithm is described to perform visibility computation. The voxel-based radiosity equation assumes the ideal diffuse case and uses solid angles similarly to the hemicube.